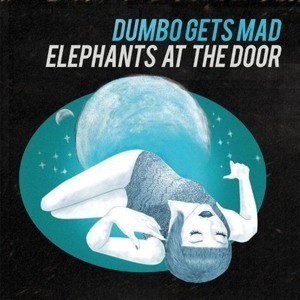 We’re thrilled and proud to announce the debut LP by Dumbo Gets Mad (facebook) and our first physical release! The digital release of Elephants At The Door is available just spreading the word with your friends. You will be asked to login to Facebook or Twitter, edit the proposed tweet/wall message – and click the download button. Simple. We invite you to download the mp3s (or click the artwork cover! ), print the artwork, burn the cd-r, spread the word, share it with everyone you know and support the artist as you can (buy the vinyl if you love it!). We like mp3 but vinyl is our first love. Thus some very limited 12” vinyls with gatefold jackets are now available. Let’s hope it’ll be a collector’s item before too long. You can order them on BigCartel for 12€ + shipping costs (if you are in Rome, Italia or Berkeley, California and want to save on shipping costs get in touch). Joe Tangari (Senior Contributing Writer at Pitchfork) : “Great psych band from Italy – Plumy Tale made my Pitchfork top 50 last year”.